Best Numerologist Baby Name Numerology. NUMEROLOGY IS The branch of knowledge that deals with the occult significance of numbers. A lucky name spelling can make you successful whereas an unlucky one can mar your efficiency and fill your life with miseries . Numerology deals with the nine planets Sun, Moon, Jupiter, Rahu , Mercury, Venus, Ketu , Saturn and Mars . Each one of these nine planets is assigned numbers ranging from 1 to 9, depending on which planet vibrates to which number. These nine planets influence the human life in a substantial way. 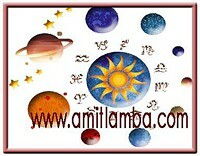 Amit Lamba – Astro Numerologist Born and Brought up in Mumbai is a Famous Numerologist and belongs to a traditional Hindu family of Astro – Numerologists Based in Mumbai. Positive effects of a Name Change Numerology . Normally Life is Mostly filled be Some happiness but struggles as well. Finances are Not Stable and There are Less Savings . One of the Solution for Above is Astrology and Name Change Numerology Yes. You can consider going in for your name change in consultation see the Positive Benefits your new name brings about. 1) Better professional prospects . – If You Think You are Not Able to Grow in Career and Unable to Get Proper Results in Business or Profession Then its Suggested you can go in for a name change Numerology for better prospects of job / Career or Business . This Week, We try to understand the Influence of Numerology on Persons born on the 6th (Sixth) of any Month. As Per Numerology Number 6 is the Number of Venus. Persons born on Date of Birth 6th are generally born with a charming personality and lead very comfortable lives. Persons born on 6th are righteous, dignified and very humble. They are very interested in Fine arts and all good things life has to offer. They only desire is to live happily and enjoy all the worldly pleasures. QUALITIES: Persons born under 6th are under the influence of Venus. They generally have very beautiful and magnetic eyes. They generally love poetry and Music and are attracted towards glamour. Also these persons have beautiful houses as they do take good care of their home and decorate it well. One important quality of persons born on 6th is that, everything thing they do has a hidden cause and expectation. Persons born on 6th generally even worship with a motive .Their only expectation and goal in life is to acquire much wealth .Generally Persons born on 6th are considered are very lucky. Men born on 6th get beautiful and lucky wives and females generally marry successful men and thereby lead comfortable lives. Your LUCKY Numbers & Dates are 6th , 15th and 24th . 9th 18th and 27 are also Lucky. Your UN-LUCKY Numbers & Dates are 3 , 12, 21 , 30th , You should also avoid 5, 14 and 23. LUCKY COLORS: White is lucky for you. UN-LUCKY COLORS: BLACK and Dark Green is Unlucky color for you. GEMSTONES : The Best gemstone for you is DIAMOND OR OPAL. This Week . We try to understand the Influence of Numerology on Persons born on the 5th , 14th , 23rd of any Month. Number 5 Represents Mercury . QUALITIES: Persons born on 5th are also very hasty in their decision making and may suffer due to this. They get attracted to persons very easily and so they sometimes face problems in Love life. 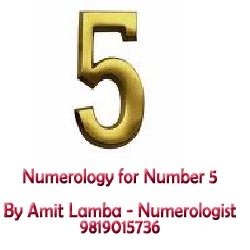 Most of the persons born on 5th are Attracted to making money fast and therefore do not want to do any physical work , which involves traveling or Physical Stress. They look for Easy money and want to lead a good lifestyle. Physically they may not seem to work , but their mind is constantly exploring and planning new proposals. Religious Importance of Number 5. There are (5) five sacred Sikh symbols prescribed by Guru Gobind Singh are commonly known as Panj Kakars or the ‘Five Ks’ because they start with letter K representing Kakka in the Punjabi language. They are: Kesh (unshorn hair), Kangha (the comb), Kada ( bracelet), Kachh (the soldiers shorts), and Kirpan (the sword). There are five basic “pillars” of Islam. Five Pillars of Islam is the term given to the five duties incumbent on every Muslim. These duties are Shahadah (profession of faith), Salah (ritual prayer 5 times a day), Zakah (tax on the communtiy), Sawm (fasting during Ramadan), and Hajj (pilgrimage to Mecca). Muslims pray to Allah five times a day. In FENG-SHUI , There are five elements of nature (water, fire, earth, wood and metal). In Vastu-Shastra There are five elements of nature Space (Akasa) , Air (Vayu) , Water (Jala), Fire (Agni) , Earth (Prithvi) . Your LUCKY DATES are 5th , 9th , 14th , 18th , 23rd, 27th . LUCKY COLORS: Light Blue , Grey , Light Green. UN-LUCKY COLORS: BLACK is unlucky for you. GEMSTONES : The Best gemstone for you is EMERALD OR PANNA. Numerology THE POWER OF NUMBERS – Date of birth 4 . Numerology is the science of the occult meaning of Numbers and the powerful influence they have on our lives. Every person on this planet is born on a certain date, & its number plays a very important role in his or hers life. One must not forget that we are ourselves responsible for our failures and success and if we understand our selves better i.e the positive and negative influences of Astro-numerology in our lives, this helps you to be in line with what nature has in store for you, thus making success eminent and with lesser obstacles. This Week . We try to understand the Influence of Numerology on Persons born on the 4th ( Fourth ) of any Month. Number 4 Represents RAHU in Hindu Astrology and Planet URANUS is Western Astrology. Number four represents the common person. Persons Born on 4 are very fond of traveling and NEW Experiences in Life. The biggest disadvantage is that they generally have a contrarian view about everything in life and so have very few friends. They are fearless and very enterprising and not considered about other persons opinions , because of their lack of interest in others . QUALITIES: Persons born on 4th are generally considered very strict than than the other 4 numbers ( Like those born on 22, 13 and 31 people). Persons born on 4 are generally considered brave and emotionally strong and face challenges like warriors, the only disadvantage about persons born on 4th are that they are fond of eating and they should avoid eating excess food. Also Persons born on 4th will always have sudden events happening in their life so… They should take in the right spirit and not get disheartened. Your LUCKY DATES are 1 , 10 , 19 , 28 . Positive Changes can be expected on 4 , 13 , 22 and 31st . UNLUCKY DATES : 8 , 16 and 26 are Unlucky dates. LUCKY COLORS: Light Blue . and yellow . UN-LUCKY COLORS: BLACK is unlucky for u .
GEMSTONES : The Best gemstone for you is GOMED. SOME SUCCESSFUL PERSONS BORN ON 4th . Louis Braille = 4th Jan 1809 . ( invented the System for the Blind to read). 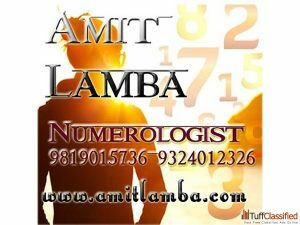 Author adminPosted on December 24, 2016 Categories NumerologyTags Amit Lamba, Gemstones, Influence of Numerology, Lucky Colors, LUCKY DATES, Mumbai, Number 4, Number four, Numerology, Planet URANUS, Power Numbers, RAHU, UNLUCKY DATESLeave a comment on Numerology THE POWER OF NUMBERS – Date of birth 4 . 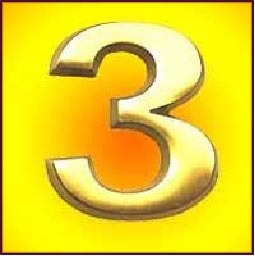 Numerology for Number 3 – Date of birth 3 ( Three). Numerology for Number 3 . Numerology is the science of the occult meaning of Numbers and the powerful influence they have on our lives. Every person on this planet is born on a certain date, & its number plays a very important role in his or hers life. One must not forget that we are ourselves responsible for our failures and success and if we understand our selves better i.e the positive and negative influences of Astro-numerology in our lives, this helps you to be in line with what nature has in store for you, thus making success eminent and with lesser obstacles. This Week . We try to understand the Influence of Numerology on Persons born on the 3rd (Third ) of any Month. a tremendous power of Intuition. They will achieve much more success, if along with their occupation; they involve themselves in some charitable or religious activity. Life is generally Smooth and comfortable for persons born on 3rd. They achieve high position or office in the later stage of their life and , people hold them in High esteem. QUALITIES: Persons born on 3rd are generally hard working and passionate and complete any responsibility entrusted upon them. They Give respect and also want respect in return. Also These persons are generally patriotic and Devoted towards their parents or family at large and they may not hesitate to sacrifice their welfare for the welfare of their family. I may also add that these persons are also very Charitable by nature. I have also noticed that most of the Persons born on 3 , Move into Education , training or Consultancy related field . Your LUCKY DATES are 3 , 9 , 12 , 18 , 21 , 27 and 30. Positive Changes can be expected on 1st , 10th and 19th of any Month. UNLUCKY DATES : 6 , 15 and 24 are not Lucky for you. COMPATIBILITY NUMBERS: Number 2 . 3 and 9 are compatible for you. LUCKY COLORS: Orange / Yellow / Pink or any light colours are your lucky colors. UN-LUCKY COLORS: Blue and Black are your unlucky colors. GEMSTONES : The Best gemstone for you is Pukhraj or its Substitutes. SOME SUCCESSFUL PERSONS BORN ON 3rd. Mel Gibson = Hollywood Action hero = 3rd Jan 1956. Alexander Grahem Bell = Invented the Phone = 3rd March 1847. This Week . We try to understand the Influence of Numerology on Persons born on the 2nd (Second ) of any Month. 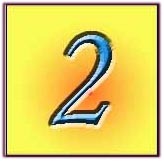 In Numerology The Number TWO Symbolizes the Moon. Moon represents our Mind and Imagination. It Stands for Feminine attributes. These persons are mostly restless the main element of Number 2 and the Moon is water: Which is never steady. Their Qualities are more on a mental or Mind level than on a Physical level. QUALITIES: Persons born on the 2nd of Any Month generally have highly imaginative thinking powers, As it also represents the Moon they are generally Mild manners and peace loving persons. Persons born on 2nd are always thinking or planning something. As the Moon represents the soft side of Life and Emotions, These persons generally hate bloodshed and violence. Persons born on 2nd have the tendency to give rise to unique Ideas which are associated with Idealism & social reforms. They have the tendency to loose self confident but they do not loose hope and calm in crises. LUCKY DATES : 2 , 7th , 16th & 25th of any Month. Positive Changes can be expected on 1st , 10th , 19th , 28th and Also on 11th , 20th & 29th . UNLUCKY DATES : 8th , 9th , 17th , 18th , 26th and 27th are not Good for You. COMPATIBILITY NUMBERS: 1 , 3 , 4 and 7 numbers will be Compatible to you. LUCKY COLORS: White or Silver color and Light Green are your Lucky Colors. UN-LUCKY COLORS: Red, Black, Brown an Dark Blue colors are Not good for you. GEMSTONES : The Best gemstone for Persons born in Date Number 2 is Pearl or Moonstone. SOME SUCCESSFUL PERSONS BORN ON 2nd. Mahatma Gandhi = 2nd Oct 1869. Shah Rukh Khan = 2nd Nov 1965. Mikhail Gorbachev = 2nd Mar 1931. This Week . We try to understand the Influence of Numerology on Persons born on the 1st (First ) of any Month. In Numerology The Number One Symbolizes the SUN. It represents the beginning of Life . QUALITIES: Persons born on one are generally believed to be impatient and very authoritative due to the influence of the SUN, (which is the King of all stars and Planets) . They are considered to be less diplomatic and extremely confident and ambitious and generally rise to the top of every occasion and desire to hold the best position in life and occupy high places. They are independent by nature and do not want to be commanded by others. LUCKY DATES : 1 , 10 , 19 , 28 are your lucky dates in every month. Unexpected Changes can be expected on dates 4 ,13, 22 , 31. UNLUCKY DATES : 8 , 17 , 26 are your Unlucky dates . COMPATIBILITY NUMBERS: You can benefit very well working with Persons Born on 1st , 3rd , 4th & 5th . LUCKY COLORS: Yellow & Red are your Lucky colors. UN-LUCKY COLORS: Black & Brown will not be favorable, Try to avoid Clothes of these colours. GEMSTONES : Lucky Gemstone for Number 1 persons is RUBY. This is the gemstone of the Sun. SOME SUCCESSFUL PERSONS BORN ON 1st. Aishwarya Rai = 1st Nov 1973 ( Bollywood Actress ). Shivaji Ganeshan = 1st oct 1927 ( Tamil film Superstar) . Marilyn Monroe = June 1st 1926 ( Hollywood Actress). Nana Patekar = Jan 1st . ( Bollywood Actor). Alexenxer the Great = 1st July. PERSONS BORN ON 1ST SHOULD NEVER HAVE THEIR NAMES TOTALING 8 OR 26 , THIS WILL BRING ALL TYPES OF OBSTACLES IN THEIR LIVES.